On May 16th night, 2008 we decided to surprise you by driving down and wishing you in person. When you called to wish Krishnan you again reminded me not to send flowers because they never got delivered in time. The next day we started early, but the awesome road between Bangalore and Hyderabad today was getting built then, so midway I nearly gave up. We anyway called and wished you as though we were still in Bangalore. Something egged us on and we did manage to reach Hyderabad and home by late afternoon. Amma and you were thrilled and we all ate some lunch and went to have dinner outside. 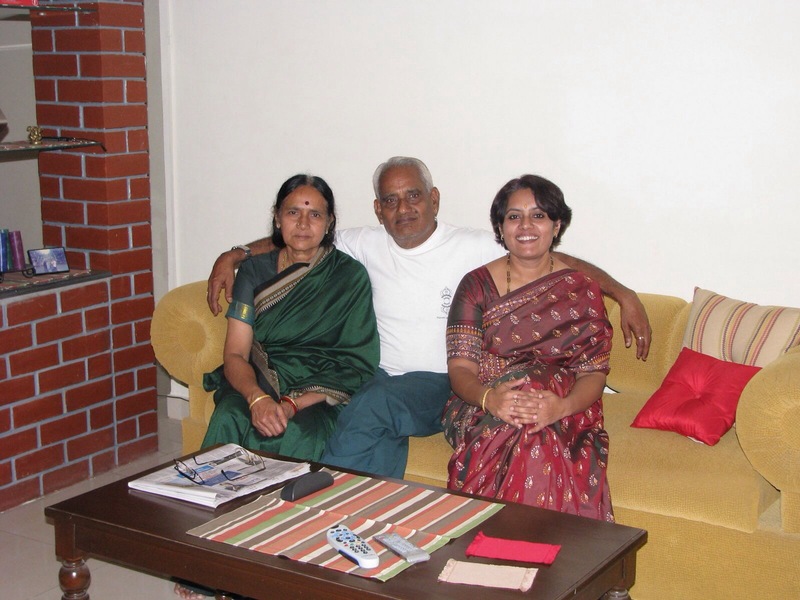 We then left on the next day, 18th, to get back to Bangalore and you came with us till the Kacheguda station so we could get onto the right road…. I still can see you clearly waving at us as we drove off and little did we know then, that was the last time we shook hands with you or saw you walking around. Am so glad we made that trip… You kept chiding us saying we didn’t have to drive all the way for just that night, but we had to, because the next time we would see you was after your haemorrhage and then you never saw us. 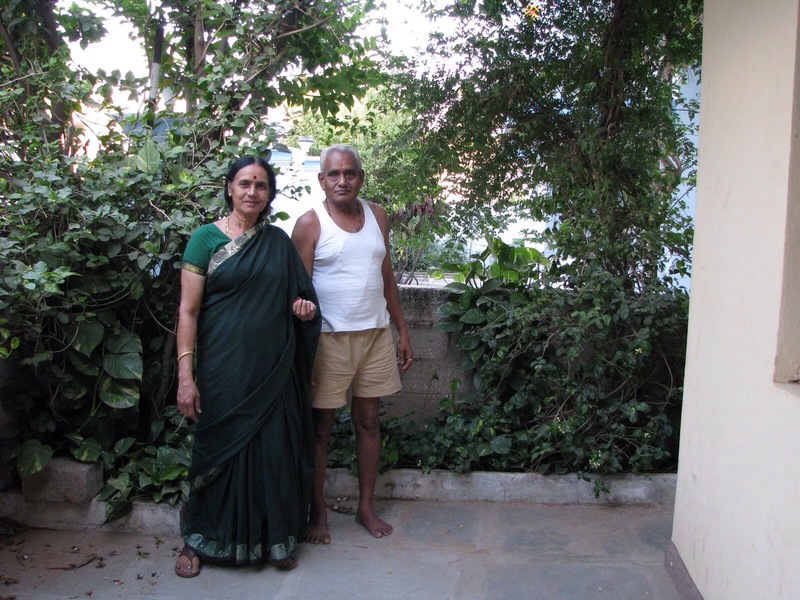 I had bought the new point and shoot camera just then and here’s the picture I took of you and Amma that day at home … Just a few feet away from where you fell. In another hour it will be five years since you left … We have had fun, and am sure you are having fun too. Amma is fine. We were remembering you today … We did celebrate in a way yesterday when Ranga, Padma and their children and grandchildren came home for dinner. I know you must have been hanging around here listening to all our chatter. I worked from home today Appa, just to be with Amma. Life is good. Thanks Shalini 🙂 yes am sure he is smiling away ! I am touched and this reminded me of one thing my father always says that he always misses his parents and then i always say papa nobody stays here forever we should always enjoy their presence and their goodness never vanishes IT stays with us forever. I really liked your parents simplicity.